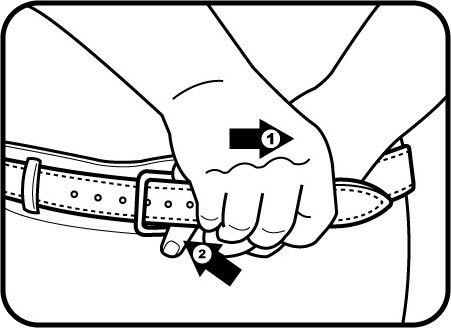 You want to carry your gun in comfort, but it's virtually impossible with a single-layer traditional belt. These are outstanding Ranger Belts, comfortable enough to wear every day. Time to ship is a week to 10 days. The billet (smaller strap) is 3/4" wide. This is the best quality belt I have seen in years. Very well made of the very finest leather. The workmanship is excellent. Exactly what I ordered and I am very happy with the result. Thank you so much for the fine job, well done. Belt is clearly well-made with high quality materials and fits as it should. Will continue to purchase my gun leather needs from Tucker. Great personal customer service. I am extremely pleased with my new Ranger belt. It was a tad stiff out of the package but I suspect that it will soften with use. The quality and function is hard to beat and customer service is the best I've ever encountered anywhere. Materials and Craftsmanship are first rate. I am not usually a how it looks kind of guy so long as it works. But, this belt does both. Not forgetting to mention the fantastic customer service.